One of the most anticipated movies for us this winter has been Get Out. 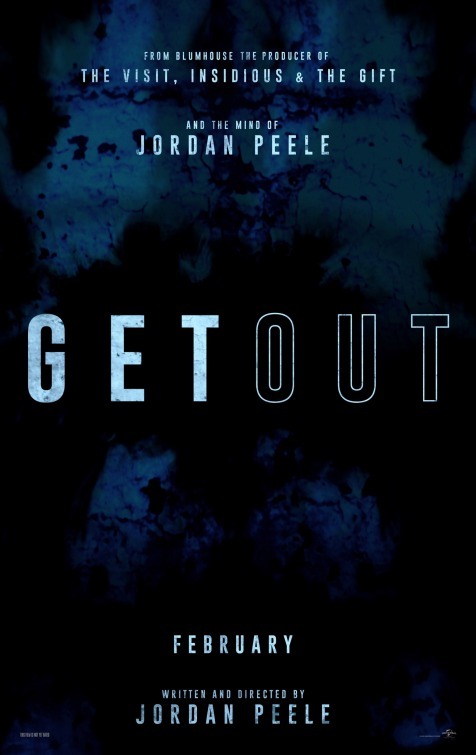 The thriller directed by Jordan Peele (of Key and Peele) and produced by Blumhouse (producers of The Visit, Insidious series and The Gift which happen to be some of our favorite movies). The movie is equal parts thriller and commentary, which seems like a more modern reimagining of The Stepford Wives. After watching the trailer, we loved how the tea played an integral role. What goes better with tea than shortbread? When creating the recipe for our Tea Leaf Shortbread, we played with the ideas of various teas. Green tea and oolong tea didn’t fit the upstate New York feeling. 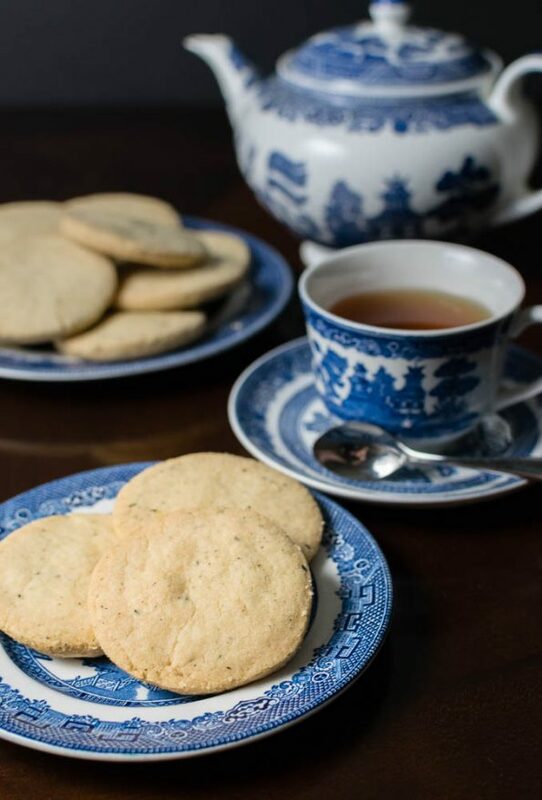 Earl Grey is delicious but is very common in shortbread recipes. We had some Golden Monkey Black Tea from Teavana and loved it’s caramel and cocoa notes, so we went with that. Initially, we wanted to use a deer head cookie cutter for these but found the dough to be too crumbly for the small details (if you know a trick for making your shortbread dough work with detailed cookie cutters, we want to hear it!). In addition to this delicious recipe, we are giving away 2 screening passes to a preview of Get Out! The screening will be held on February 21st at Tempe Marketplace. The screening will start at 7 pm but the winners should arrive at 6:15 for check-in. The contest runs until February 20th. Enter below and good luck! Yield: 12-16 cookies depending on size of cookie cutter. With a mortar and pestle, grind tea until it is a fine powder. Combine butter and sugar. Whip with mixer until creamed. Sift in flour and cornstarch and mix together using a pastry cutter until combined. While dough is cooling, preheat your oven to 325. Roll dough onto a lightly floured surface and cut into rounds. Place on a cookie sheet lined with parchment paper or silpat. Bake for 20 minutes or until cookies have a faint golden hue. *The Geeks received promotional material in order to research theming for this recipe but received no other compensation to facilitate this write-up; opinions are wholly our own. Screening tickets provided by Fingerpaint Marketing. View our Disclosure Policy for more info. I had not heard of this movie – intriguing. Tea in cookies is always a win and it’s nice to see something other than earl grey being used. Love a good shortbread with my afternoon tea! I love the Gift also, it’s one of my favorite! Nothing like a good, psycho horror movie! In the preview I saw the tea cup… just like yours! wow! Nice shortbread cookies with the black tea touch… interesting! Love the variation on shortbread. You can never go wrong with a classic. Adding the tea is certainly and interesting twist. Perfect…tea cookie with afternoon tea!! I’ve always been a shortbread cookie fan as far back as I can remember. And to make it with teavana? I’m totally for it. I love to incorporate tea in my baking and just recently made a masala chai cake. Love your shortbread recipe. Oh, wow, you have really mixed things up with this shortbread cookie. I love your use of tea, very unique. 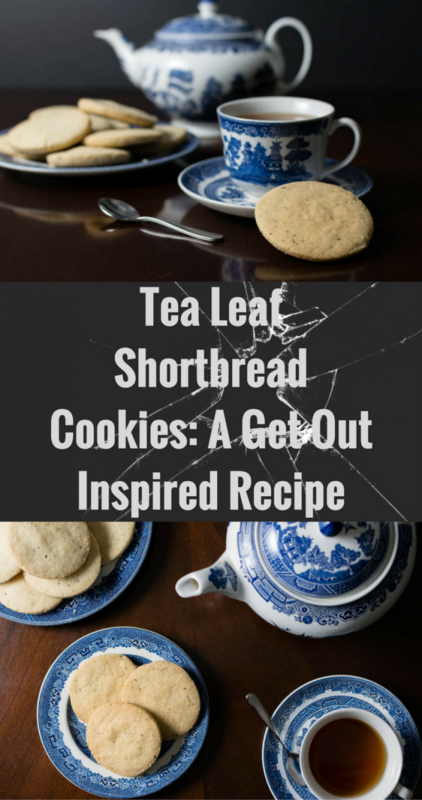 I love the sound of this tea infused shortbread, and that movie sounds super too! I’ll have to watch out for it! These look and sound tasty. I have to send this recipe to my mom. She is a big fan of shortbread cookies and if it’s tea infused that even better. I love your tea set! I am really getting into tea lately and i can see myself eating these cookies while I sip. I love Teavana teas but never made cookies with tea before. Though I have made a chai masala spiced shortbread cookies and that was a hit. I should try this sometime! Your shortbread cookies look delicious, what a good idea to add ground tea leaves to flavour them. I really like the sound of Golden Monkey Tea, I haven’t come across here in the UK.